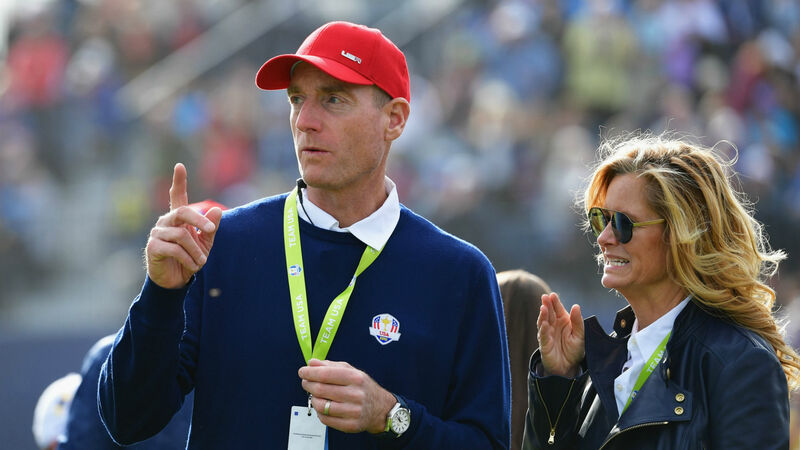 Jim Furyk was proud of the United States’ efforts at the Ryder Cup despite acknowledging they were outplayed as Europe triumphed in France. Team USA threatened a fightback early on Sunday after a tough first two days, but they fell short as Francesco Molinari’s fifth win of the week clinched a dominant home victory. Furyk had no excuses for the defeat and instead admitted opposing captain Thomas Bjorn outperformed him, although he was still keen to credit his players. “I’m proud of these guys, they fought,” he told Sky Sports. “They came out today [Sunday] and there was a time this morning where it looked like we had a chance in those first five or six matches. He added: “I love these 12 guys. It was an honor to serve as their captain, with five of my closest friends as vice-captains, world-class players as well. It was a group effort. Furyk was not willing to be drawn on what the future might hold in the moments immediately after defeat was confirmed.